Do not underestimate the importance of professional plumbing services. Poor quality plumbing installations can prove expensive. It may force you to require frequent repairs and replacements, costing you more in the long run. Do not waste your time and money by calling a substandard handyman or trying to do it yourself. There are risks of water leakages and structural damages if plumbing items procedures or repairs are not completed in an expert and professional manner. 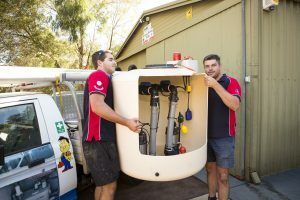 There is no need to take such risks when our high quality and professional Perth plumbing services are available at competitive and affordable charges. 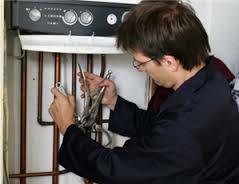 Call us if you require the services of an expert Perth Plumber. There are many reasons why we have become the first choice for Perth residents when they need plumbing services. All our plumbers are highly trained and experienced. They have expert and extensive knowledge in all the possible plumbing installations, maintenance and repairs you may require. We send a specialist Perth plumber after assessing the customer’s specific plumbing service needs. It eliminates any demand for a revisit by the plumber. Our plumber in Perth completes the job properly on the first visit itself. We are so confident of the quality of our services that we offer our own workmanship warranty. If you face any problem in the plumbing work within the warranty period, just give us a call and we will come back to fix it at no cost to you. All our plumbers have been certified so all our services are completed in a professional way and in accordance with all industry standards and regulations. Our Perth plumber will leave your house only after works are completed by them, and completed to customer satisfaction. Before the work starts at the site, we offer a written agreement to our customer. It has details of all the works that we will do at the project site. You will receive exactly the services you are promised in our project agreement document. It gives you 100% peace of mind. Plumbing services may seem simple but the costs can escalate quickly if the project is handled by an inexperienced Perth plumber. You do not have to worry about any such problem when you deal with us. With our extensive experience in this field, we are able to provide an upfront cost of the proposed work required for completion of the project. An accurate estimate of the projected cost allows the customer to plan your plumbing project budget properly. We offer competitive charges for all our plumbing services throughout Perth. You will receive cost-effective and reliable plumbing solutions. Contact us if you require any plumbing services in Perth regardless of the size or nature of the job. We know how and where to source the most economic quality plumbing products and materials, and consequently our Perth plumbing business can offer expert services at very reasonable prices. Once you hire our Perth plumbing professionals for your plumbing project, you will not have to hire any other contractor or professional. Our team that visits your home will include professionals that are highly qualified and trained in all aspects of plumbing. There are no plumbing issues we cannot handle or resolve. It means one-stop solution for all your plumbing service requirements. 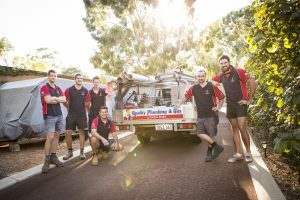 Contact our friendly and expert team of Perth plumbers to receive a quote. Plumbing emergencies can occur at any time so you will be pleased to know you can call us 24/7. We offer same day plumbing services in most cases. Contact us to schedule an appointment and we will attend your property at the earliest convenience. Furthermore you can schedule the work for any day or time that is most convenient to you. Our Perth plumbers will arrive on time on the scheduled date. If you are facing an emergency situation like a burst pipe or blocked toilet, just call us and we will visit your address immediately to fix the problem. The advantage of hiring a local plumber is that you receive quick and timely services. After years of operating in this trade, we now know the specific plumbing requirements of local residents. A local plumber knows the local building laws, rules and regulations related to the installations, replacements and renovations of plumbing parts. We can help you obtain the required permits for large plumbing projects. It gives you an assurance that your plumbing installations will never be in violation of local council rules and regulations. No potential plumbing project is too big or complicated for our Perth plumbing business. We are ready to work on projects that involve multiple contractors. Whether you are planning to construct a new building or renovate an existing building, we can work alongside the construction contractors, electricians, architects and interior designers. We offer plumbing inspection and assessment audit reports to customers who are planning to build a new building or renovate an old building. You should never start a building construction project without consulting an expert Perth plumber. Simple mistakes in the installation of pipes and plumbing parts can prove a costly or expensive exercise if the initial installation or repairs were completed in an unprofessional, substandard or noncompliant way. You can call us for all types of plumbing installation, repair, replacement and renovation projects. Fix a leaking pipe or tap as soon as possible to avoid costly subsequent damage to the structural parts of your building. Leaking and burst pipes can lead to flooding, causing extensive structural damage to flooring, walls and beams. It can also damage your expensive and treasured belongings and household items. We fix the leaking pipes quickly. Our Perth plumbers can fix both fresh and wastewater pipes. Taps found in kitchens, bathrooms, laundries and gardens will be repaired immediately. Our Perth plumbers are able to use advanced camera inspection system to inspect and locate the fault in a blocked drain. Specialised tools and equipment are used in the repair of blocked drains. The expert plumber that will assess and repair the blockage will do a thorough examination of the pipe to ensure that the blockage does not become a recurrent problem or issue. Our Perth plumbing team has extensive experience in installing a comprehensive range of hot water systems. Whether you want to install a new hot water system, repair an existing one, or replace a faulty one, we will do the job quickly, efficiently and professionally at very competitive processes. We strongly advise against attempting to repair hot water systems yourself as this can be dangerous. There are risks of electrocution, appliance damage and structural damage. Leave this complex job to our professional Perth plumber. Plumbing services are not limited only to water supply or release systems. We have plumbers who specialize in the fitting and repair of gas pipes. All gas pipes and joints must be installed to the highest standards and as required by the gas supply company. We have the expertise and capacity to handle gas pipe installation, repair and replacement works, from humble abodes to the most complex commercial kitchens. If your roof gutter is leaking, it should be repaired immediately before the leaking water damages your walls, roofs and your treasured household contents. You may be looking for simple cleaning of the gutter system or tightening of the loose gutter parts. Contact us anywhere in Perth, and our plumber will visit your house immediately to fix the gutter. We have gutter experts with knowledge of all types of gutter systems. They will provide you with the most appropriate solutions. The plumbing projects and repairs completed by all of our expert plumbers meet the highest industry standards and comply with all local building laws. Call us now if you need any plumbing service by a Perth Plumber.